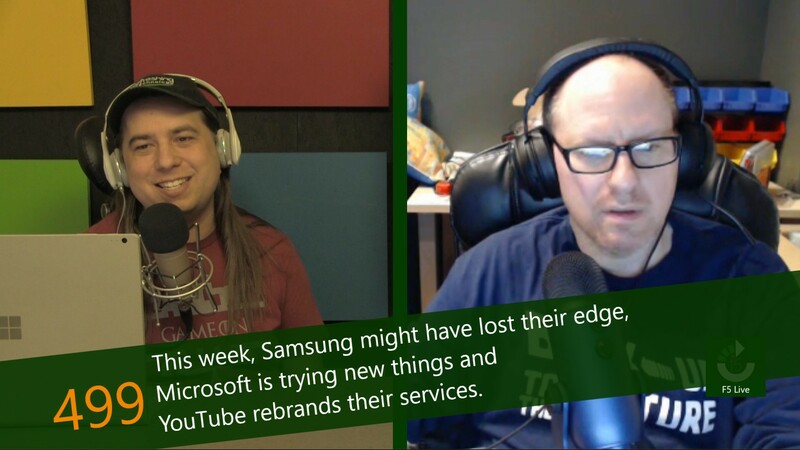 This week, Samsung might have lost their edge, Microsoft is trying new things and YouTube rebrands their services. 2018 hasn't been a great year for Samsung. It's not been the PR disaster that was 2016, but it's not been smooth sailing. In 2016, Samsung famously had the Galaxy Note7 devices explode under a variety of scenarios. Even after ending sales, a product recall and "fixing the issue," devices kept sacrificing themselves to the gods of battery technology. The company also had a recall on certain washing machines because the appliances were... wait for it: exploding. It is no secret that Microsoft has been taking some wide swings lately with their product offerings. They've been looking to appeal to a wider range of customers, with products like Outlook for iPhone and Microsoft Pix, both of which are rated higher than Apple's included email client and camera app, respectively. They've even been enhancing their Cortana offerings, including the Harmon Kardon Invoke speaker, with an Alexa partnership. A little over a year ago, the FCC voted not to implement guidelines intended to re-establish a guarantee for an open internet in the United States. There were problems with the original intent, of course, with the most important being a lack of legal jurisdiction for the FCC to have drafted the guidelines in the first place. The FCC belongs to the Executive branch, which cannot create new law - it can only enforce existing laws. Over the past year, YouTube has infrequently made headlines for something positive. Between illegally collecting children's information and continually stricter guidelines on content, combined with advertising issues and a creator exodus, the company seems to be in a downward spiral. It was inevitable that Google would step in at some point and look for ways to deal with viewership and revenue losses caused by these issues.